Queen Anne style. William Kimbrough Pendleton, architect. 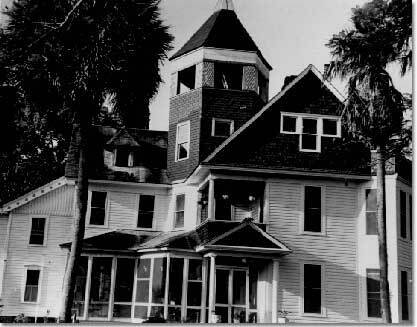 2 and a half stories, frame, originally 2-story Frame Vernacular, hexagonal observatory tower and other features added (1886). Owner was a pioneer citrus grower from West Virginia. His home became a showplace of Central Florida. Rumored to be haunted?